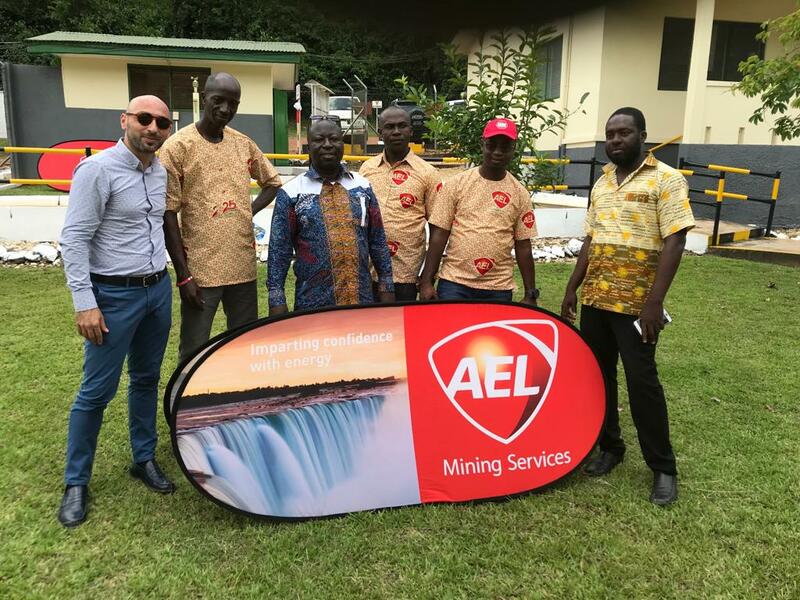 For 25 years AEL Ghana has served the mining industry in Ghana, Burkina Faso and Sierra Leone with explosives, bulk emulsion and ammonium nitrate and AEL Ghana’s 25th anniversary took place on site at Bogoso, Ghana. OMA Logistics were represented by Francesco Leuzzi, Albert Kabenlah and Daniel Eshun. The event also included celebrating the company’s safety record of four million man-hours without an injury. AEL is one of our top clients in the mining sector and we are proud to be associated with their success story since 2011.